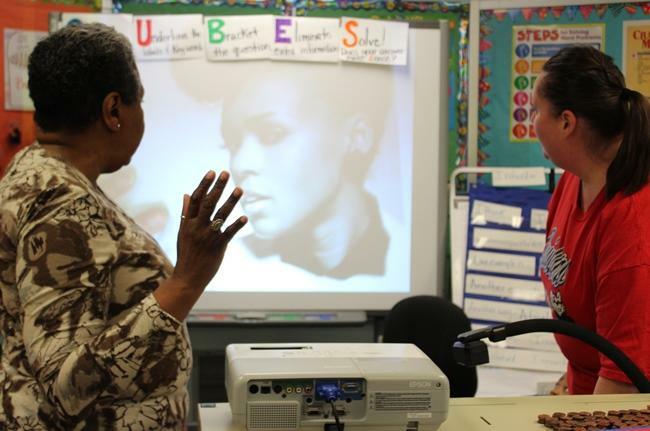 This story was rebroadcast as part of our best-of 2015 series. It was originally reported in May 2015. Just a few years ago, downtown Hamilton, Missouri, looked a lot like many other forgotten, rural towns. Abandoned, forlorn buildings marred the main drag. 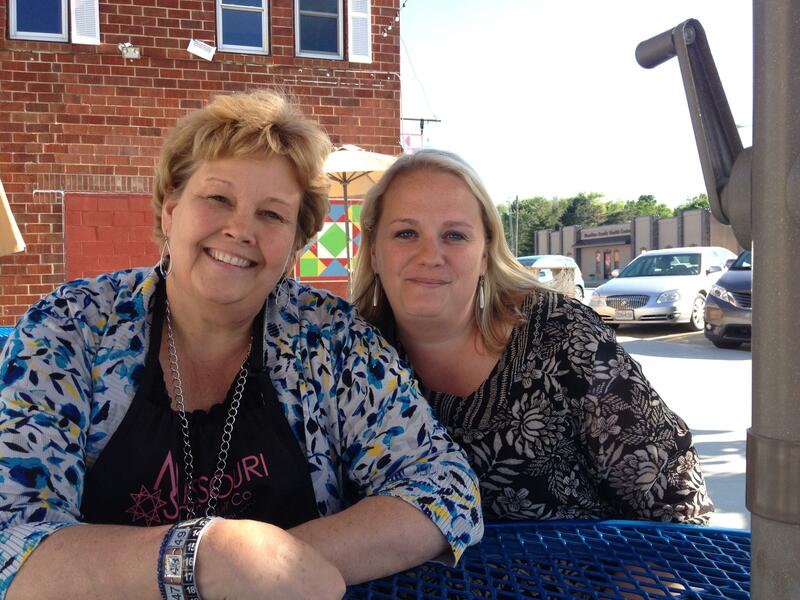 Jenny Doan sits with her daughter Sarah Galbraith, who co-founded Missouri Star Quilt Co., outside two of the new restaurants the company bankrolled in downtown Hamilton, Missouri. But in recent years, an explosively fast-growing startup business in rural northwestern Missouri has shaken up a staid industry, producing a YouTube star and revitalizing a town with a proud retail history. That's why Dean Hales, who has lived here 77 years, is so delighted now. "I've lived here most all my life, I can't hardly believe what I'm seeing," he says. "When you've got people coming from all over the world to a little town of 1,800 people, you've got something pretty special. And we do have." They've got Missouri Star Quilt Co. Just seven years after its launch, 15 freshly remodeled buildings in Hamilton now house fabric, sewing machines and customers. Della Badger drove here from Victorville, California. "I just looked on my map and asked Siri, 'How do I get to Hamilton, Missouri?' " she says. "But it was my dream to get here and see Jenny." Badger's talking about someone she knew only through YouTube, Jenny Doan, of Missouri Star Quilt Co.
Doan's how-to quilting videos have drawn millions of views. Doan says it's because she takes an easygoing approach to what traditionally has been a daunting and tedious craft. "Quilting has always been something that's like, for the elite," she says. "It's kind of a hard thing to do, you know; everything has to be cut perfectly. And I'm like, 'Just whack it up, we're going to put it together, this is going to be awesome!' 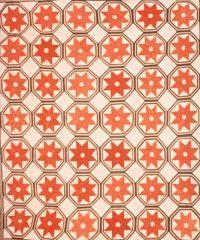 "
She says women from around the world visit Hamilton or write to thank her for getting them into quilting. "This has absolutely been the sweetest, most serendipitous thing that has ever happened to me," Doan adds. And this business would not have happened if she had been a better financial planner. "My parents have always been bad with money," says Alan Doan, Jenny's son. 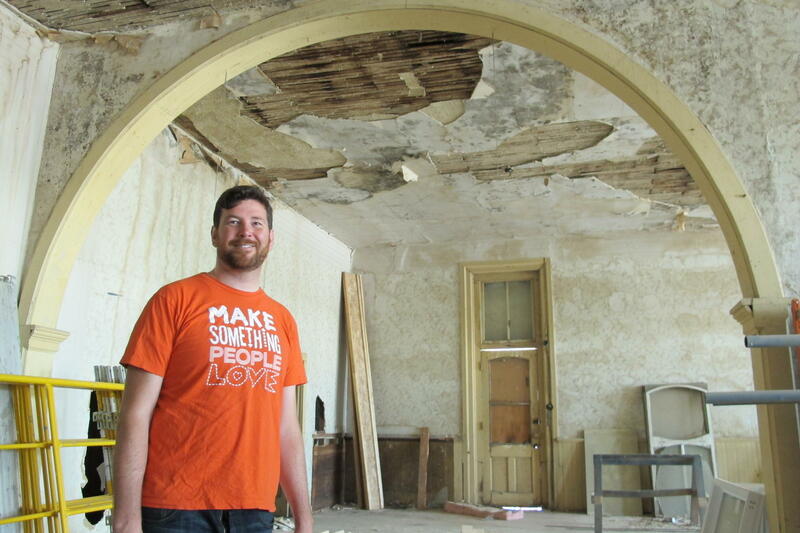 Missouri Star Quilt Co. co-founder Alan Doan explores a long-vacant space the company is remodeling in downtown Hamilton, Mo. This building was formerly owned by J.C. Penney, who got his first retail job in the shop downstairs in the 1890s and made it his 500th J.C. Penney store in the 1920s. He says the recession cost his folks most of their savings and threatened to take their house. "Me and my sister were looking at it and said, 'We've got to put something together, so that mom can make a little extra cash,' " Alan says. So in the fall of 2008, Alan and his sister took out loans and set their mom up with a business sewing other people's quilts together. Customers kept asking for fabric, so Alan built a website to sell it. "World, we're open! And you expect somebody to care, right? And so we launched the website," Alan says. "I still have my Facebook post, I went and looked at it the other day, it's like, 'Hey I launched this quilt shop for mom, you guys should check it out.' It's [got] like, two likes." Doan was selling, or trying to sell, a relatively new product: pre-cut fabric. The pieces come bundled together from the factory in a pack with different, complementary prints, making it much easier and faster to make good-looking quilts. But one year in, business was terrible. Jenny says, "Alan came to me and said, 'Mom, are you interested in doing tutorials?' I said, 'Sure honey, what's a tutorial?' I mean, I had no idea. I had never been on YouTube." Well, the videos, featuring pre-cut fabrics eventually took off. Sales exploded and now Missouri Star Quilt employs more than 180 people to sew, staff stores and, like Mindy Lloyd, ship thousands of packages a day from the company's huge new warehouse. "This one's going to Australia," Loyd says. "Isn't that neat?" Alan's savvy helped build the foundation of a large business. "We had to learn how to do this from like watching YouTube videos on how Amazon does it, or something, right? We built this warehouse, and I just called all the smart people I knew and said, 'How do we do this?' " he says. Success has pushed the company into publishing, even food service. The company is renovating more buildings and by midsummer plans to double the number of quilt shops in Hamilton. The business also plans to add a "man's land" to give customers' husbands something to do. The Doans aren't the first people from Hamilton to make it big in retail. 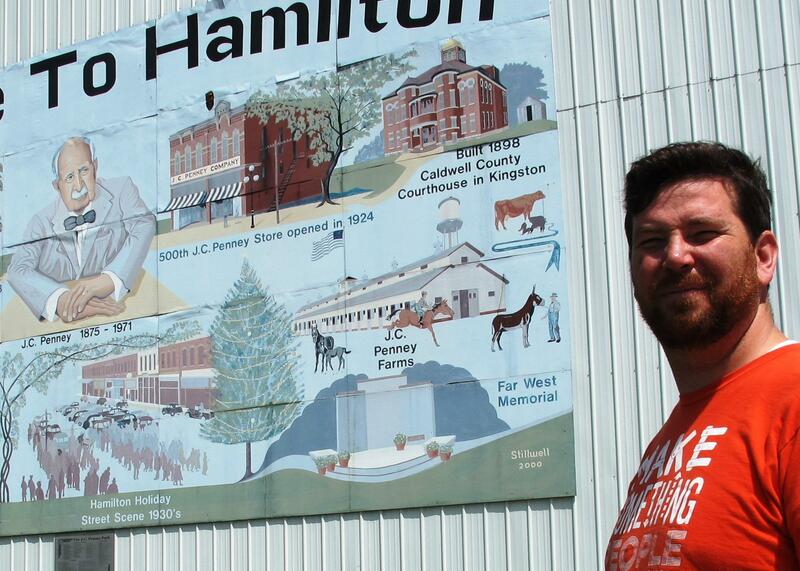 James Cash Penney Jr. landed his first sales job in Hamilton almost 120 years ago. Penney left Hamilton as a teenager, but returned years later and opened his 500th J.C. Penney store. It's not likely the Missouri Star Quilt Co. can match that, but it has so far transformed this once sleepy little town into a quilting Mecca. Two friends from Kansas City, Kan., are teaming up for a project called If Da Dirt Could Talk. It combines collaborative quilts with a performance in an historic graveyard in old Quindaro. Artist Nedra Bonds started quilting at the age of six. "Yeah, I didn’t have a choice, I come from a family of quilters on both sides," she says. "So this was something that we did, based upon who we were, based on the needs of the family, and we just always have done it." Kansas City, Mo. – As Gay Pride Week wraps up in Kansas City, events at the Power and Light District and Richard L. Berkley Riverfront Park will feature local and national music headliners. 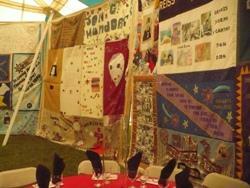 At a sit-down dinner under a massive tent tonight along the Missouri River, the walls will be lined with quilts. They are from The Names Project Foundation's Aids Memorial Quilt. The Aids Memorial Quilt is the living memorial to the thousands of men and women who've died of HIV-AIDS. Friends and family sew personal messages on quilt panels about victims of the disease. "Partisan Pieces: Quilts of Political and Patriotic Persuasion" at the National Archives show the politics of their 19th century creators. But can quilts really tell us the political leanings of their makers? Kansas City, MO – Some people wear their politics on their sleeves. Or on their bumper stickers. But on quilts?